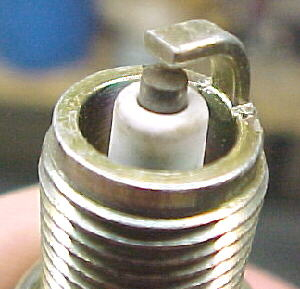 The spark plug itself speaks volumes about how “optimum” the combustion process is. 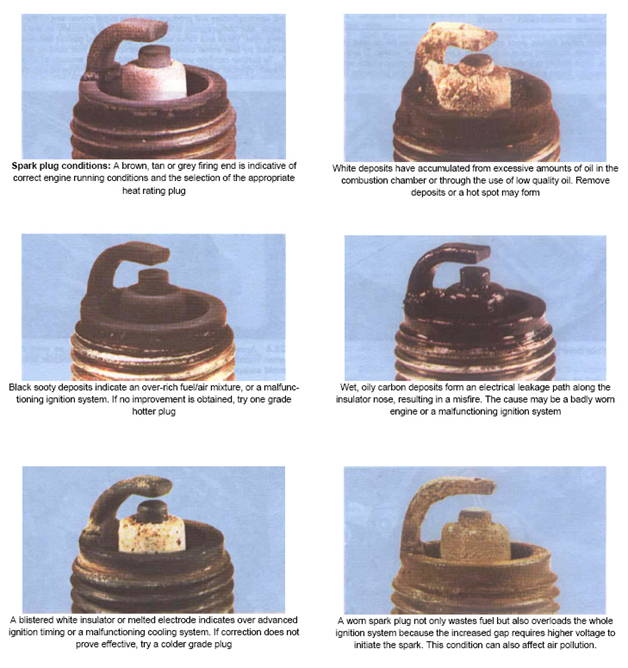 Visually, if the burn is good and combustion heating of the plug is correct (you have the correct plug heat rating) then ….. the plug looks like this. The insulator around the tip of the electrode will appear slightly off-white (light beige). There won’t be any heat disfiguring of the electrode and no carbon build up r soot. How important can timing advance be? My lawn mower doesn’t have it, or my small magneto outboard, weed-wacker, etc…. Well, your right. And, I don’t know exactly. So here’s my guess. I won’t talk about 2-cycle ’cause that’s a different animal. But other small motors… you simply aren’t demanding that much out of them (throttle acceleration, load under changing rpm) to notice any major performance loss from no advance. So the motor is set at a worse case timing. Not optimum, but still runs consistently. At some point the motor and motor load/performance/hp makes timing advance worth it. I think lots of people’s problem solved through your post regarding spark plugs.